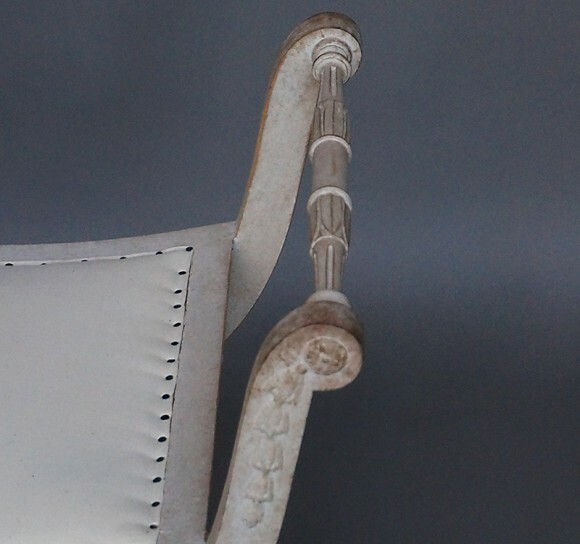 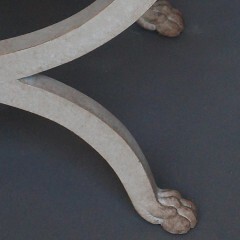 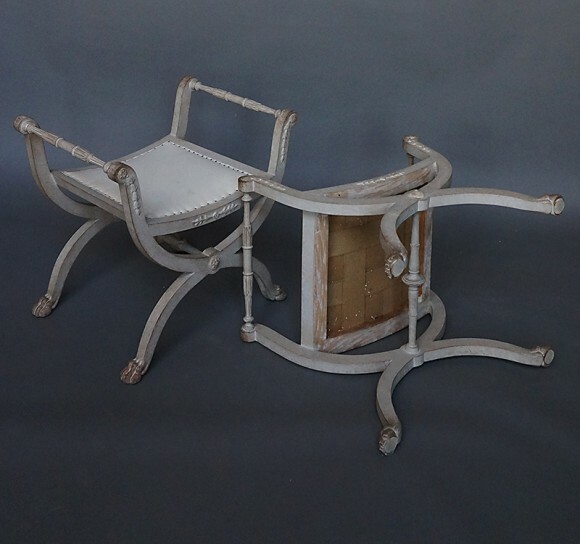 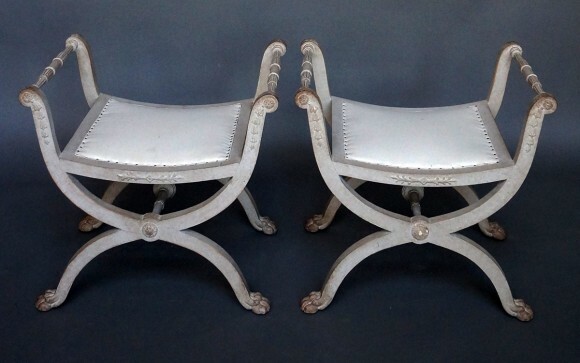 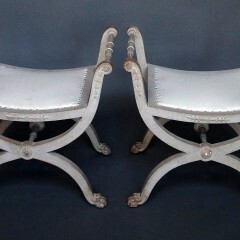 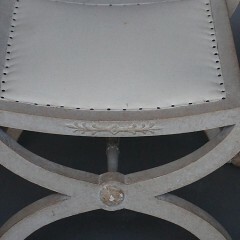 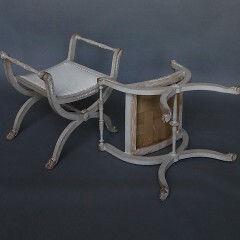 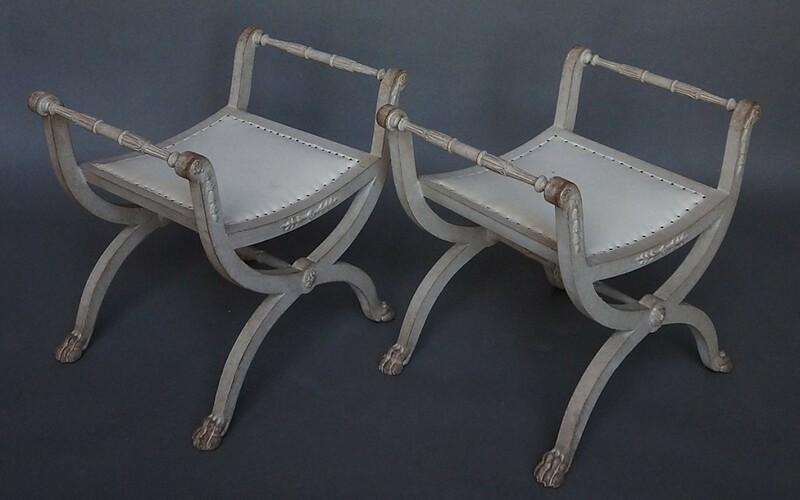 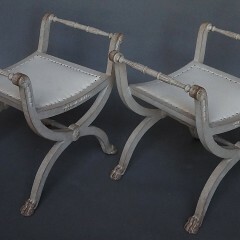 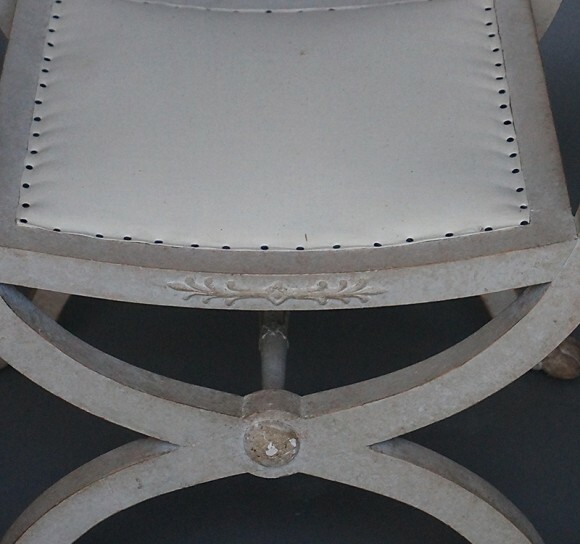 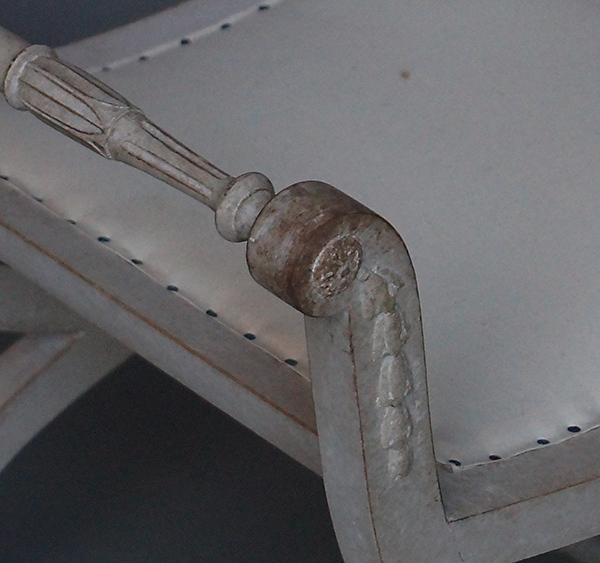 Pair of Swedish curule stools, circa 1900, in the Gustavian style. 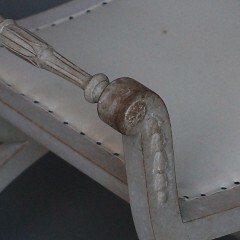 Carved bellflowers on the arm supports, and lotus carving on the stretchers. 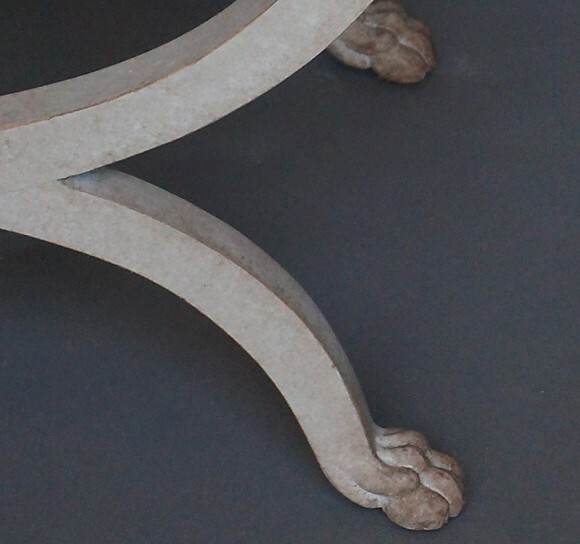 Lions paw feet.